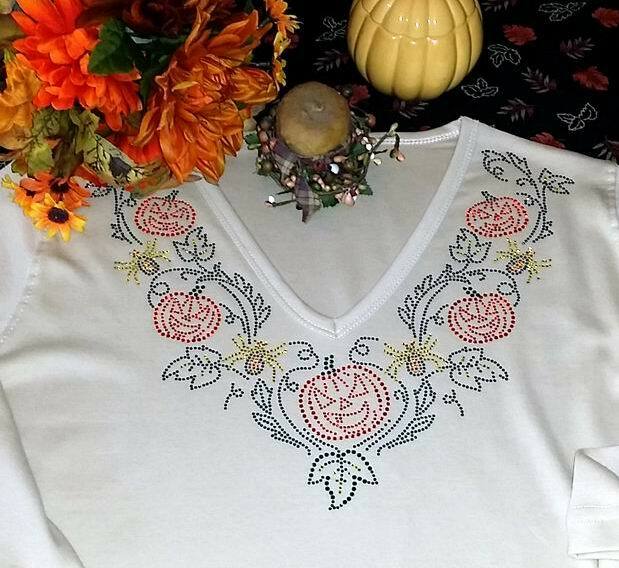 3/4 sleeves, v-neck, cream color top with fall color rhinestones around the neck. Top is 100% cotton, completely machine washable, machine dry for 5 minutes finish on hanger. Wear this to the office, a party or hay ride.